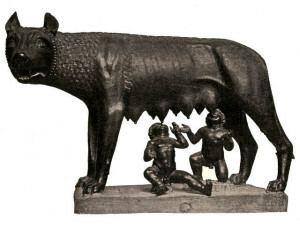 Romulus and Remus, raised by wolves, are the main characters in the mythical story of the foundation of the city of Rome. The world’s fiction is full of stories of children who are raised away from human society. Photo. The big question is this: how much of human nature is really natural and how much is due to our upbringing? In theory it would be easy to test this: just raise a child with no human contact. Of course, it is not actually possible to do this in practice. It would be a clear case of abuse and neglect! Mowgli, the main character in Rudyard Kipling’s The Jungle Book stories, was also raised by wolves. There are lots of romanticized fictional stories of this sort. However it is difficult to separate the real experience of feral children from the reality of abuse. Photo. Indeed, it is always difficult to separate the amazing stories of so-called feral children from abuse and neglect by adults. A feral (or wild) child is a human child who has lived away from human contact from a very young age. As a result, these children have little experience of human behavior or language. 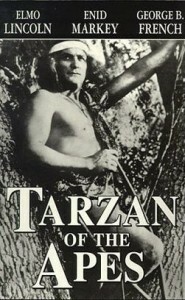 The fictional character Tarzan was raised by apes in the jungle. Photo. Often, stories of wild humans are simply invented as a way of making money. 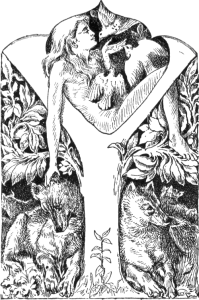 For example, the Nullarbor Nymph was supposed to be a girl who lived among kangaroos in Western Australia in the early 1970s. It was just a silly hoax aimed at increasing the tourist trade and nobody took it very seriously for long. 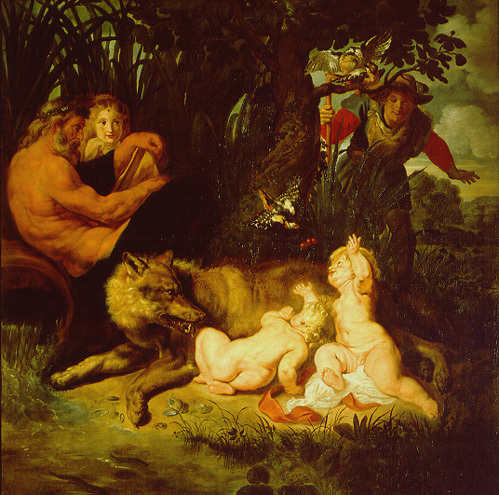 The idea of children raised by animals has a strong romantic hold on our imaginations. However, so-called feral children have often been exploited and abused. Photo. The story of Amala and Kamala, the wolf girls, was taken more seriously in the 1920s. People believed that they were feral children who had been raised by wolves in Bengal, India. However, it is now thought that the poor girls had severe mental problems and had been abandoned by their parents. The orphanage where they lived was having financial problems and was trying to make some money through the publicity the girls attracted. 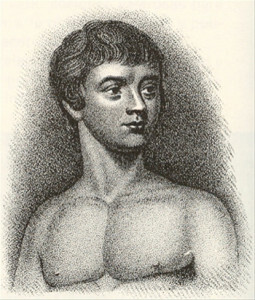 Victor of Aveyron was a truly remarkable case. Although Victor, also, was quite probably abused and abandoned, it seems possible that Victor really did spend long periods during his childhood living in the woods in southern France. Even so, many people refuse to believe that young children can really survive among animals. 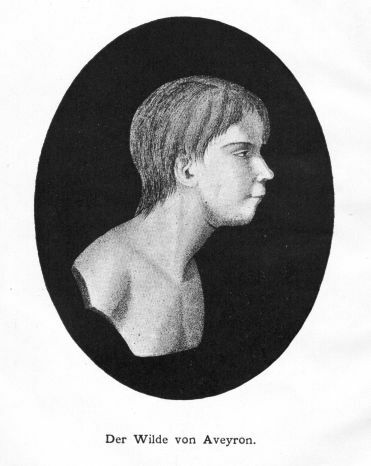 Perhaps Victor was treated like an animal at home from a very young age — because of some disability — and then ran away into the woods. Victor never learned to speak very well. However, is that because of the experience of isolation or because of a previous disability? Victor. Were his learning difficulties due to a life of isolation? Or was he originally abandoned because of some disability? Photo. In any case, these individuals have often suffered the most incredible experiences and have shown an amazing will to live and overcome neglect and abuse by more fortunate people. For example, it appears that, as a young child, John Ssebunya really lived among vervet monkeys in the jungles of Uganda; he ran away from home as a very young child after witnessing the murder of his mother by his father. He was found in 1992, looked after by a new family, and has made great progress in learning to speak; his future now looks promising. However, his language ability is likely to remain limited because of a head injury he received prior to his experience in the jungle. 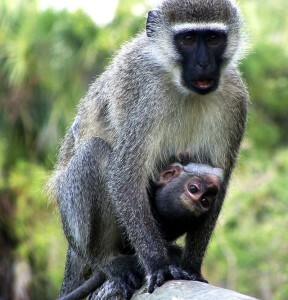 It seems that John Ssebunya really did survive among vervet monkeys in the jungle! However, perhaps he was eating their leftover food rather than being raised by them. It is still an amazing story of survival. Photo.